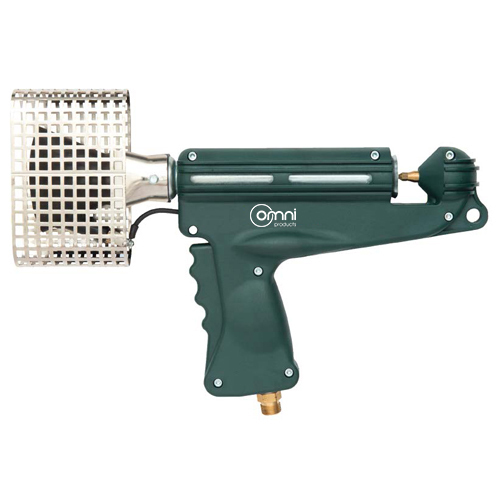 Heat Shrink Gas Guns are used for fast heat shrink wrapping. These gas fired tools works quickly and effectively to shrink LDPE plastic around pallet loads or other irregular shaped products. The heat shrink film secures the product or pallet load and protects is from damage during transport and storage. 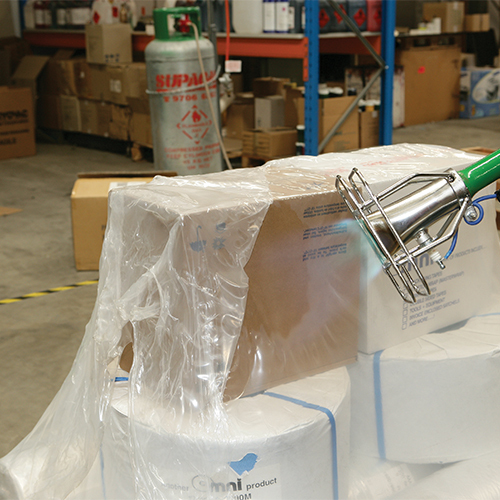 – A high quality / heavy duty pallet shrink gun. – Offers a fast & reliable performance with complete safety. – An ergonomic design that is lightweight and well-balanced for ease of use. – Safety features include – automatic valve on regulator to protect the gas supply. – Adjustable regulator for controllable power, ideal for use on a variety of shrink films.